Rebun Island is the northernmost island where people live in Japan. 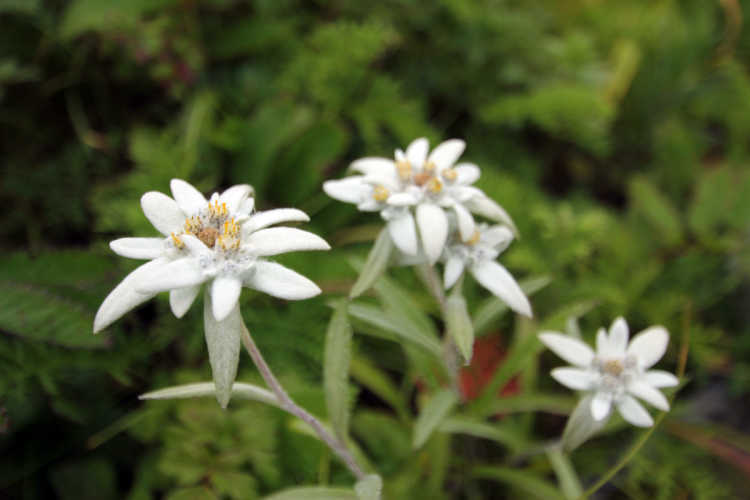 An alpine plant indigenous to Hokkaido, Rebun Leontopodium (usuyuki-sou) grow in colonies. It's a kind of edelweiss seen in the Alps. By the way, I hear edelweiss means 'noble white'.